At Melton Jujitsu we have a progressive junior syllabus which enables children to learn not only Jujitsu, but also respect and tolerance. 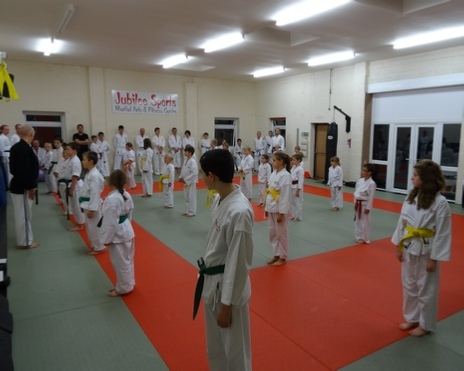 We’ve been teaching the self defence art of jujitsu in Melton Mowbray for over 10 years, and in that time we have build up a well respected club with well over 100 students. These ranging from our youngest ‘Tiger Cub’ aged 3 to many senior students over 50. It’s also never to late to start and it doesn’t have to be about ‘fighting’ although Jujitsu is a great self-defence art, it’s also a great way to get fit, to meet new friends and have a great time. We do promote respect and tolerance and we really want everyone to enjoy themselves, so we make it great fun. With three fully qualified and very experienced instructors, as well as many developing students on hand to help, Melton Jujitsu has a dedicated and highly skilled team with over 50 years experience. 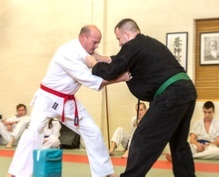 We offer professional martial art training which is rewarding and fun, enabling students to gain confidence and grow in the discipline of jujitsu. We're not a sport and we don't compete as these have limitations and rules. We teach in a safe and controlled environment, however, we teach effective self-defence using the traditional as well as many contemporary styles. Please feel free to join us on Facebook to keep up with the latest news and events.